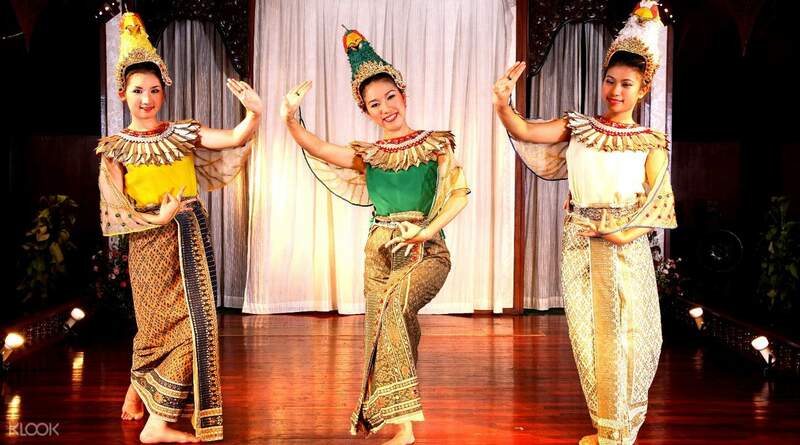 Discover Chiang Mai's oldest customs at the Chiang Mai Traditional Khantoke Dinner and Cultural Show. 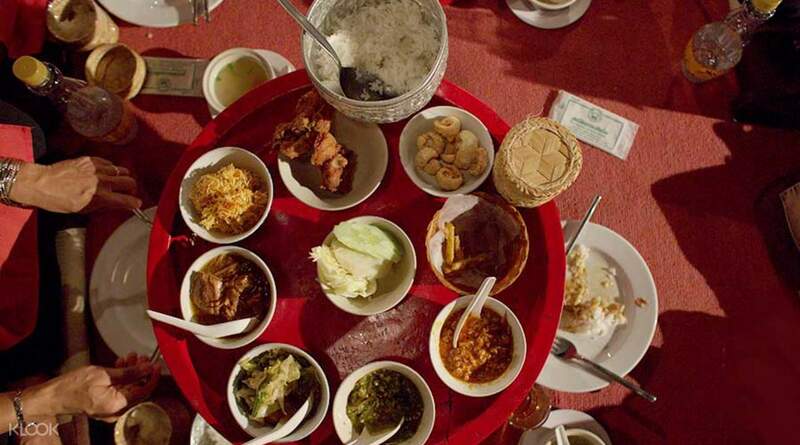 Enjoy a traditional northern Thai meal – Khantoke Dinner – a generous serving of homemade family style dishes on large platters eaten sitting down on floor mats at low tables. The highlight of your Thai dinner experience will be a traditional cultural show, including dance and music performances by several Chiang Mai hill tribes. 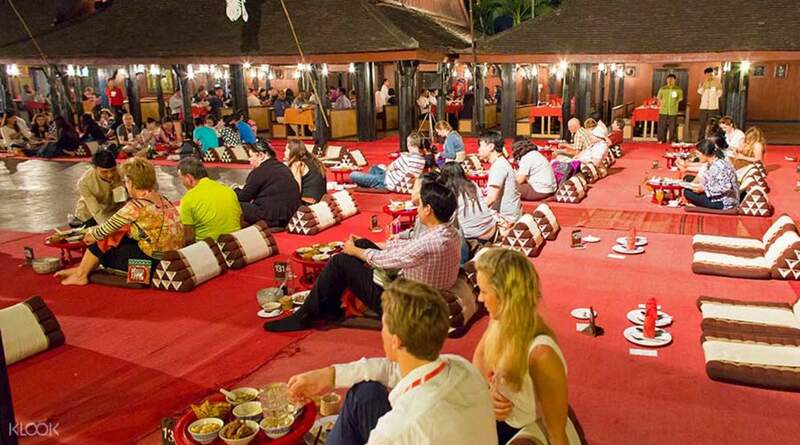 Dive into the history, diverse background and beauty of the region in the relaxing and fun atmosphere, home to the original Khantoke Dinner Show. I enjoyed the show and such good value compared to American shows. Much better than some I’ve seen. I think many negative reviews come from drinks being charged and other ways they try to make more money. But given the ticket price, I don’t blame them at all. I enjoyed the show and such good value compared to American shows. Much better than some I’ve seen. I think many negative reviews come from drinks being charged and other ways they try to make more money. But given the ticket price, I don’t blame them at all. Enjoyed the traditional dances from all native Thailand from different ages...Colourful dresses and music throughout the show..not forgetting the dinner simple and tastes delicious...Good experiences to showcase the local culture.. Enjoyed the traditional dances from all native Thailand from different ages...Colourful dresses and music throughout the show..not forgetting the dinner simple and tastes delicious...Good experiences to showcase the local culture..
Food is great and more than enough for two (I didn’t have lunch and we still didn’t finish all), and you can ask for more if not enough. Do get there early. We got there about 7pm and found it enough time to eat and enjoy the show without juggling around. We sit on the floor, which is cool but later become uncomfortable, most people got into the reclining position haha. Show is so so, but we didn’t have our hope high so still enjoy it. It feels like a tourist trap but I still think it worth the money if you have never seen it. Food is great and more than enough for two (I didn’t have lunch and we still didn’t finish all), and you can ask for more if not enough. Do get there early. We got there about 7pm and found it enough time to eat and enjoy the show without juggling around. We sit on the floor, which is cool but later become uncomfortable, most people got into the reclining position haha. Show is so so, but we didn’t have our hope high so still enjoy it. It feels like a tourist trap but I still think it worth the money if you have never seen it. Authentic Thai cultural experience. The food was really delicious and we had a great time. Recommended activity to do in Chiang Mai as it is something unique! Authentic Thai cultural experience. The food was really delicious and we had a great time. Recommended activity to do in Chiang Mai as it is something unique! A must when in Chiang Mai! Food market is right next to it so you can drop by before heading to the show. A must when in Chiang Mai! Food market is right next to it so you can drop by before heading to the show. The food was good specially the vegetables. Ambiance is nice. Performers look very happy with what they are doing. I feel the vibe of their cultural performance. The food was good specially the vegetables. Ambiance is nice. Performers look very happy with what they are doing. I feel the vibe of their cultural performance.